5 Christmas Cakes & Pastries to Wow Your Guests This Christmas! Friday | December 1, 2017	It’s the most wonderful time of the year! Are you in the midst of planning for a Christmas party? Join us as we unleash all things sweet, scrumptious and splendid this festive season! 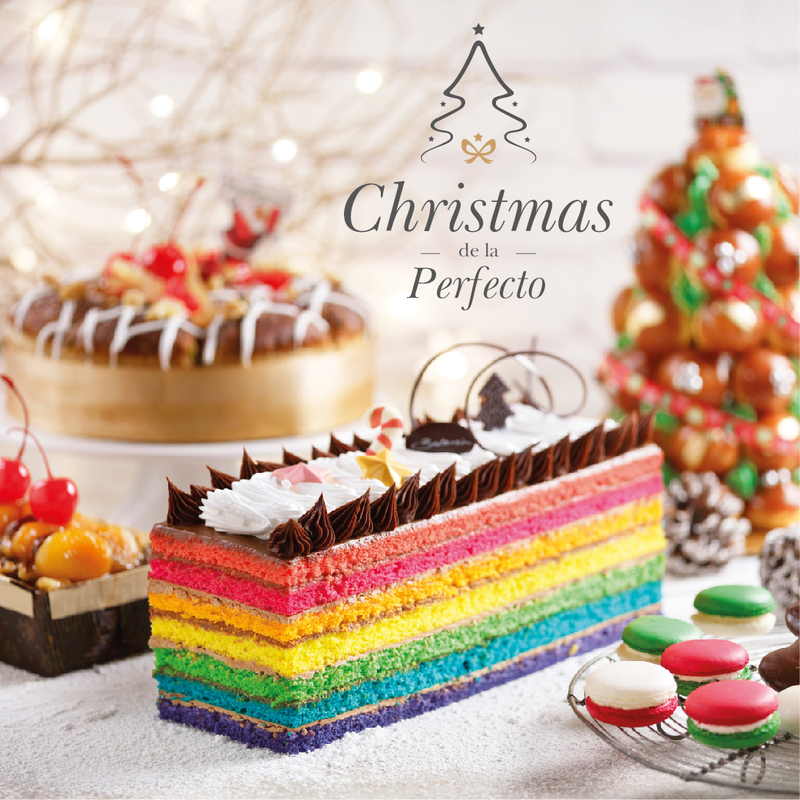 Here are the top 5 Christmas sweets that will impress your guests: #1 Triplette Chocolat Cake Log Chocolate lovers are in for a sweet treat! This is the ultimate pure chocolate indulgence with three classic flavours - decadent chocolate, pure cream cheese and caramel. Each bite unleashes an explosion of flavours and beckons you for more servings! #2 Rainbow Yule Log Amazing treat for your kids and family this year. Seven colourful layers of beautiful light sponge and pleasing chocolate orange buttercream, this cake will be too pretty to eat or snapped up before feasting starts. #3 Bakerzin King’s Bread Bakerzin unveils its very own style of King's Bread, a take on Southern French recipe to reveal a dexterous creation. Using fine ingredients with great mastery, they are handmade to perfection and comes in two flavours, one in savoury of Ham and Cheese (Chilli Spice) and another of Spiced Cinnamon and Nuts. All King's Bread comes with a crown, feast along and be a king for the day! #4 All I want for Christmas is Stollen The finest of ingredients made this festive bread the ultimate winner! Handcrafted to perfection, Bakerzin knows best when it comes to pastries and breads. Each mouthful adds myriads of flavours, bursting into a verve of symphony. 'I just want 'stollen' for my own" #5 Aged Fruit Cake Steeped for over a year with good old rum, the liqueur manifest the diced fruit bits and raisins for a luxurious pampering, you are in for a treat! Each slice gives generous servings of fruit bits and raisins, definitely one of the reasons to bring home and share with your loved ones! Get 15% Members Discount on Christmas De La Perfecto Takeaway Menu from now till 15 December 2017! Download the above coupon now and claim in-store! For online purchases, apply code PERFECTO.